As humans, we have limited control over the negative situations that happen to us. Sometimes, we don’t even see them coming. Some may view these negative situations as moments that define us, which can lead to a cascade of negative thoughts and resulting behaviors. Traumatic experiences have a natural tendency to instill fear in us. We tend to become overwhelmed quickly and have a habit of dwelling on our misfortunes. You may be frustrated when you know someone who is able to remain calm in such times of trauma and distress. It seems as if we envy those with the ability to remain positive. We sometimes attribute their positivity to personality tendencies, when, maybe that person is just Resilient. What if we could be the champion of our own stories? 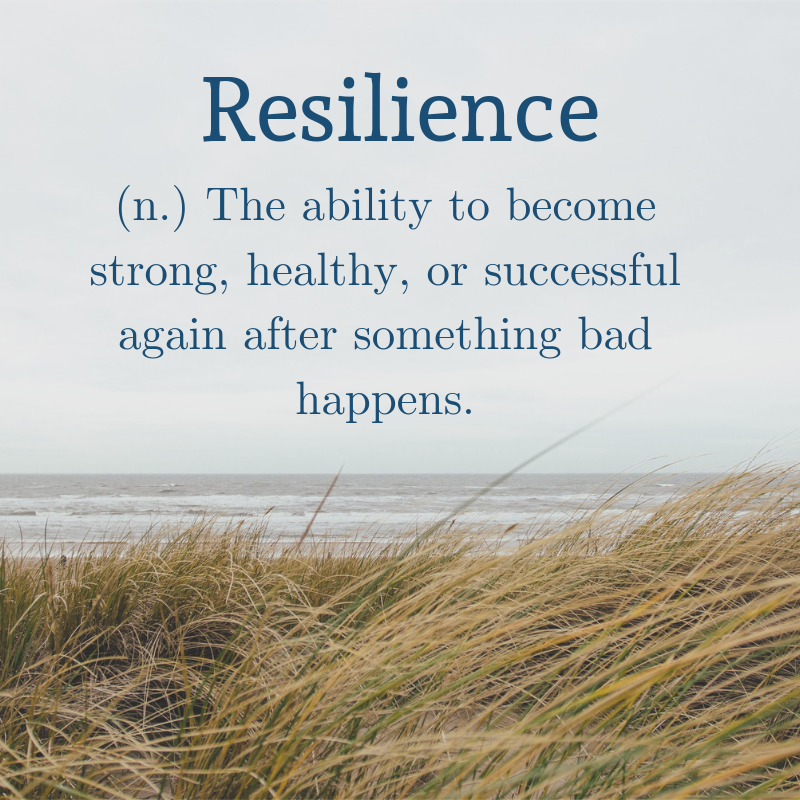 Resiliency is our ability to cope and bounce back from that which brings us down, even to rock bottom. Resiliency gives us the footing we need to climb back to the top. Resiliency is a trait that is available to everyone and can be developed over time with practice and emotional intelligence. Researchers Schneider et, al. (2013) conducted a study that examined the role of emotional intelligence and the ability to facilitate traumatic situations into resilience. In short, those who were characterized as having high emotional intelligence appraised negative situations as a challenge rather than a threat. How do you conceptualize setbacks? Do you view them as traumatic events, or opportunities to learn and grow? Here’s a practice you can use for the future: Do you notice any of the bullet points above that you could work on? Read over the list again and identify which skills you already possess and which ones might need some more practice. 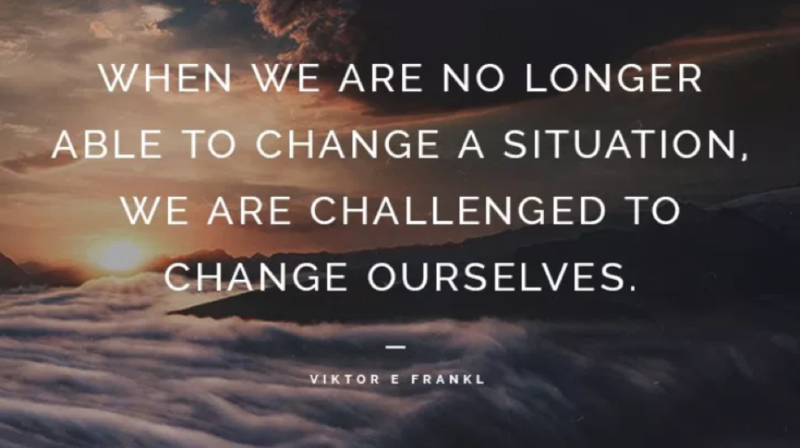 Keep these in mind next time you are faced with a challenging situation. You can use your stronger skills to view your next stressor as a challenge instead of a threat. You can use your weaker skills as an opportunity to practice them and work on adapting an even stronger mindset of resilience. Here’s a practice you can use right now: Think: how could you have approached a situation differently? Perhaps, use a past experience as an example. Can you think of one situation that resulted in a negative outcome for you? Make note of how you responded. What skills helped you eventually overcome the challenge, and what may have held you back? Think about how could you have been more resilient in this situation and think of how the outcome may have differed. Remember, building a skill takes time and practice. Be patient with yourself and keep working at it! It’s worth it. Wondering how resilient you are? Take the quiz now!